Just 7 km from Ataturk Airport, this 5-star hotel has a heated indoor pool and offers air-conditioned guestrooms with free Wi-Fi. 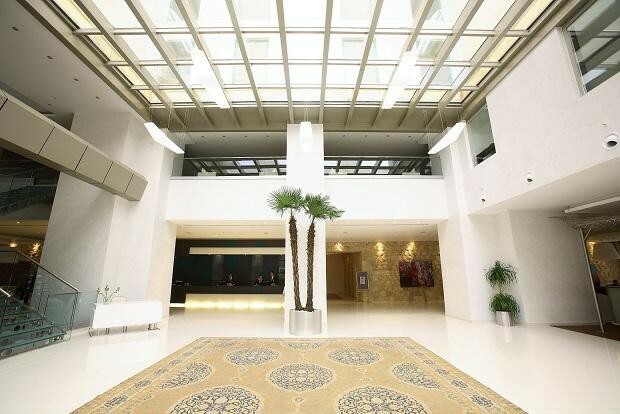 Holiday Inn Istanbul Airport Hotel offers free shuttle service to Ataturk Airport and city centre.Most rooms at the Holiday Inn Istanbul Airport Hotel have parquet floors, double-glazed windows and modern furnishings. They come equipped with a minibar and a flat-screen TV with cable channels.The Tulip Restaurant offers international cuisine while the Saltanat Restaurant serves Turkish and Ottoman dishes. The Holiday Inn Istanbul has a cafe, and a bar with city views that serves cocktails.At the Mandala Spa guests can enjoy a Swedish massage, or relax in the steam room. There is a state-of-the-art gym that features cardiovascular equipment. The tour desk assists with car hire and offers information on local attractions.The Holiday Inn Istanbul Airport Hotel is 7 km from CNR Expo Centre, 1 km to 212 Shopping Mall and a 10-minute drive from Atatürk Olympic Stadium. It provides free private parking on site. Please note that Holiday Inn Istanbul Airport Hotel offers free round-trip shuttle service to/from Ataturk Airport between 06:00 and 24:00.The hotel also offers free city-shuttle service to Sultanahmet and Taksim districts.Guests will receive a complimentary welcome plate including cookies.